Travel Choices offers grants to businesses for schemes which encourage employees to make sustainable travel choices. 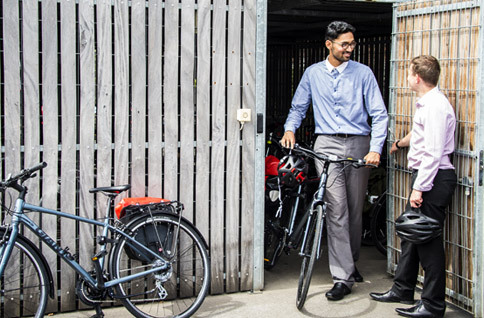 Whether you want to build bike storage facilities at your premises so staff can cycle to work, put in an electric vehicle charging point or run an event to promote sustainable travel to staff, you can apply for up to £10,000 to make it happen. The application process is simple, and our team of expert travel advisors are here to help you through each step. and working with the Travel Choices team.